Happy Friday Everyone! Hope you have had a good week! I was having difficulty finding a funny for today. Some were inappropriate, some downright rude. Then I found this one. I thought it was a lovely funny! It made me snort! I had to go back and read it a couple of more times. It is the winner for this Friday! Hope you all have a great weekend!! Feel free to let me know what you think! In watching the Video Clip of Outdoor Kitchen Design Tips I was impressed with the thoroughness of what to look and plan for when designing outdoor kitchen space. It also put me in the mood to fire up my grill! I absolutely loved the idea of having a water source and prep area. That would be great! I've certainly had my fair share of going in and out of the house while grilling, and it's really a pain at times. They have several great tips. I really appreciate the information about storage as well! 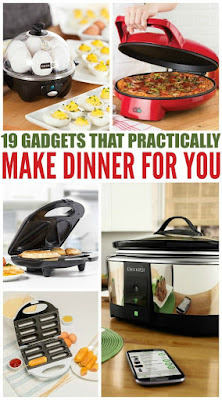 Kitchen Gadgets That Practically Make Dinner For You--How could I not click this article and go in and read it? I am one of the many working women in our society. I am also one who has a commute which is a little over 1/2 hour when the stars are aligned and all is right with the world. Getting home a little after 6 p.m. is not when I want to START making dinner, so I am all over this article to see what can help me. Some of these devices are quite interesting. I'll not opt for the one that helps with Sushi. Not my favorite cuppa tea. 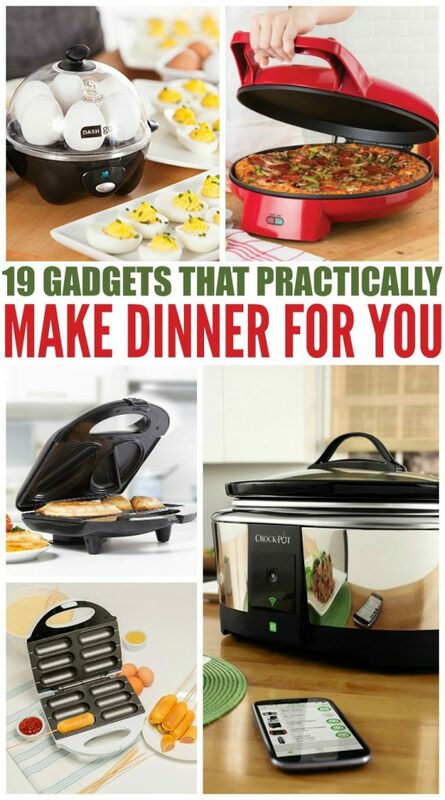 However, as much as I use my crockpot, number 19 sounds absolutely amazing! Take a look, let me know what you think. You can read the entire article by clicking here. Happy Monday to Everyone! Our find for this week is really interesting to me. I am not sure that I have ever seen a kitchen similar to this one. Very lovely! Let's take a look! I find myself fascinated with this kitchen, at one point I think, wow, way too much black, but then on the other hand, the black seems very clean and classy! I love the stove, not too fond of the back splash area there, nor the range hood, but it's not the worst I've seen. There seems to be a good amount of counter space and the black cabinets work well with the stainless steel appliances. 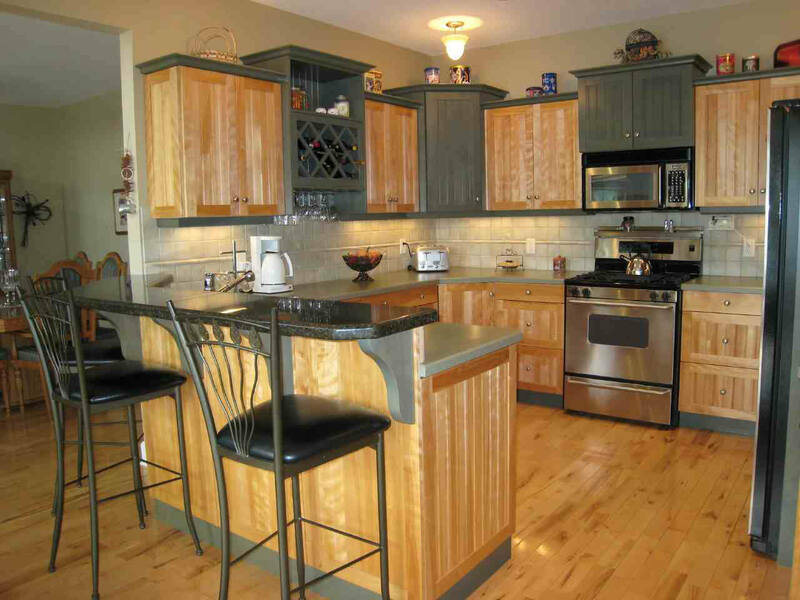 The lighting is nice, I think the light wall coloring helps lighten the room, especially with the black cabinets. Very nice overall. Tell me what you think? Hello All! Happy Friday to you! Have to love Colorado weather! 71 degrees yesterday and snowing this morning! Today's winner for our Friday Funny really hit home. It's been a rough week at work! 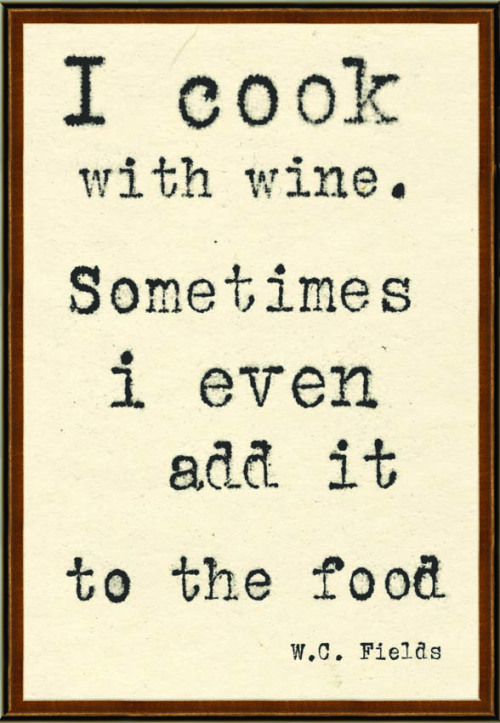 What is your favorite recipe that you cook that involves wine? Write a comment and let me know! Be safe out there and have a wonderful weekend! Holy Cow! This was such an awesome find! I've watched the 11 minute video several times. I'm going to list the video here, and then I will have a link to the article. This is about figuring out how to do pressure canning outside and save heating the house up as well as the propane or electric! The articles explains the video, or goes along with the video, in more depth actually. Being someone who cans things, this is pretty impressive. I can certainly see where it would save fuel tremendously! He goes through the steps of how to build the "rocket stove" and how to keep the heat going. Pretty cool, you can read the full article here if you like. Hello all! I have a lovely kitchen for this week. I would love to move right in to this kitchen! Let's take a peak shall we? Well, you should all know by now that I love wood floors in the kitchen, and this one is just beautiful! Tons of storage in this kitchen! Perhaps not as much countertop area as I prefer, however, they do have the island for extra counter space. The stainless steel appliances add to the nice clean lines of the kitchen. It gives off a very warm and comforting feel to it. I would probably choose a different color for the wall color. I don't really care for that color, nor the range hood for that matter. The lighting is good as well as natural light from the windows by the sink. All in all, a very lovely find! Let me know your thoughts! Happy Friday everyone! 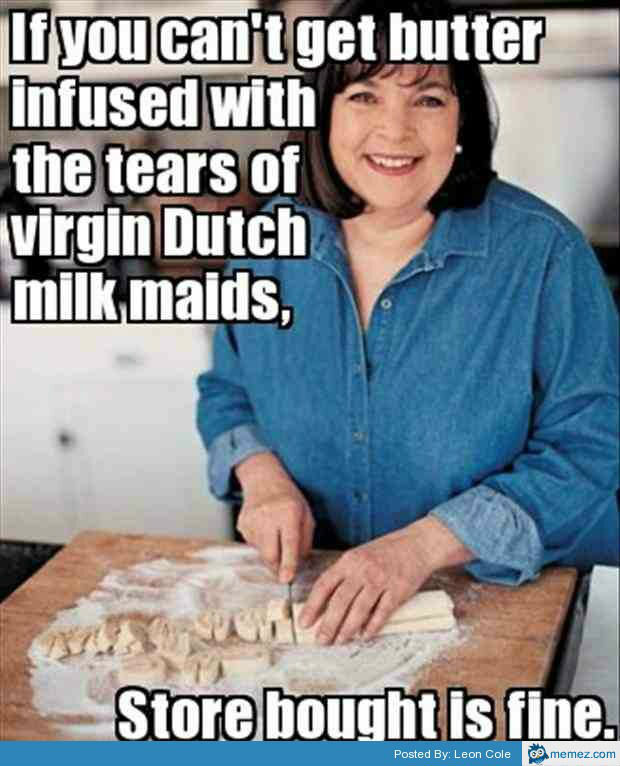 Today's funny was selected because last night I found a recipe that sounded delicious!!! However, upon reading the ingredients, I opted for "ummmm, nope"
Indeed!! I think we've all found some of these recipes. Too funny!!! You all have a wonderful Friday and a great and safe weekend! See you on Monday! 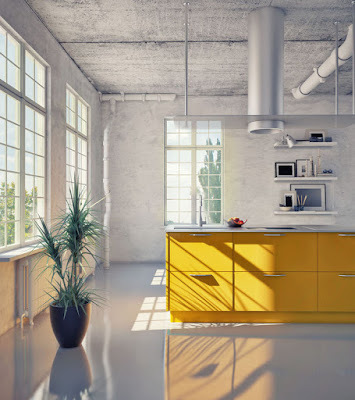 provide 8 different ways that you can add some color to your kitchen to help spring come on in! Most of the items suggested are not too painfully expensive. Numbers 5, 6, and 8 are great ideas to add some color. Number 3 is one I've done myself, several times as a matter of fact. However, number 1, is not something I've ever done with the kitchen? The kids room, yes, but not the kitchen. Mind you, I'm not ruling it out, but just saying. So if you want to read the article yourself, you can click here. Hello all. So sorry I missed last Monday. We've had a bit of run in with the virus bug going around. So glad the household is feeling better! The kitchen for this week is loaded with warmth from wood! 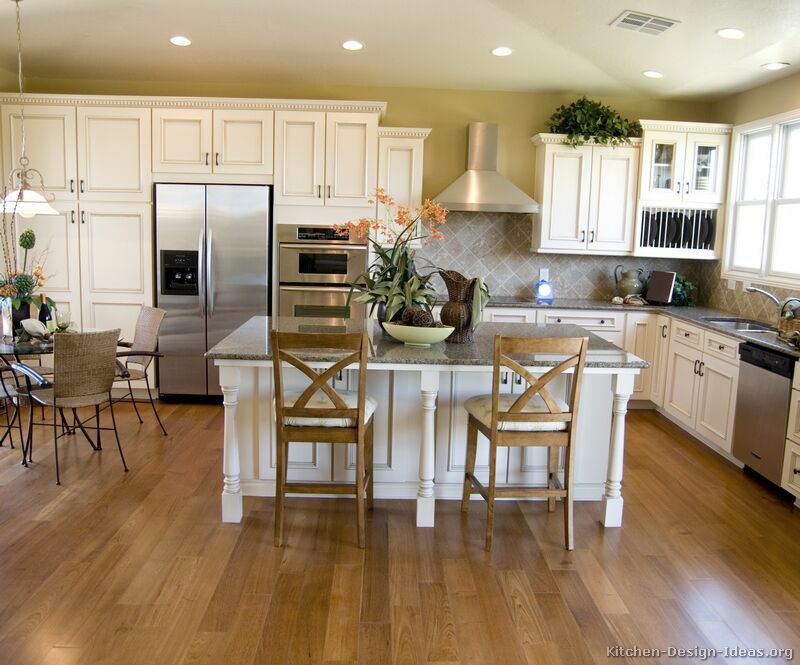 I truly love the wood flooring and the cabinets matching in color. 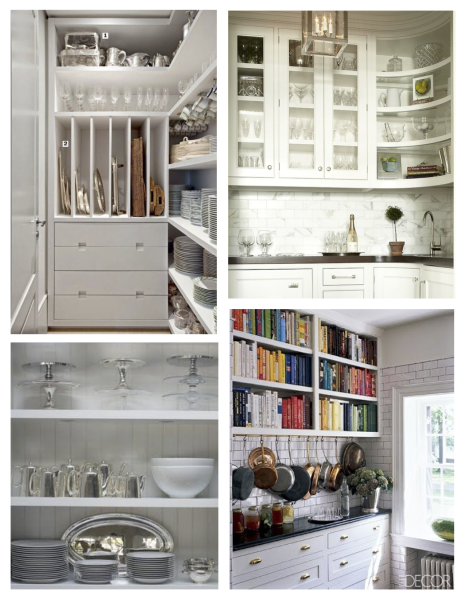 The grey cabinets and trim around the bottom of cabinets makes for nice accents to the kitchen. 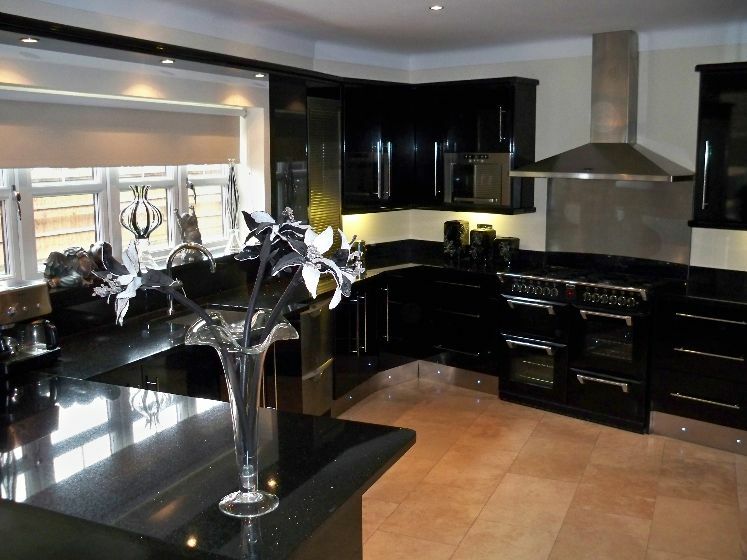 There also appears to be plenty of counter space, which is a big must for me! One issue might be there doesn't seem to be a lot of light in the kitchen. Perhaps there are windows where we cannot see in this picture, but I'm not sure. I'm not a big fan of having items sit on top of the cabinets. Too much trouble to dust them continually. The wine rack is a nice touch to the cabinet area. Let me know your thoughts!! Happy Friday everyone! Hope you have had a great week! Today's winner is an oldie but a goodie! I can hear W. C. Fields laughing when I read this. Too funny! Everyone have a safe weekend and let me know how things are going! This short video has some great tips to help set up your kitchen. Some of the tips I knew, but some I had not really thought about before. I do use a knife block, so if you do, give yourself points for that! The one problem I have is that I do not have any space to the left of my stove, the refrigerator is there, so that tip won't really work for me. 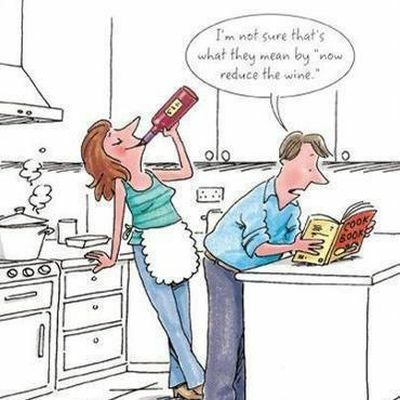 Perhaps I should find a video on kitchen remodeling and show that one to my hubby? Enjoy! In the Denver area of Colorado it is a sellers market for sure! 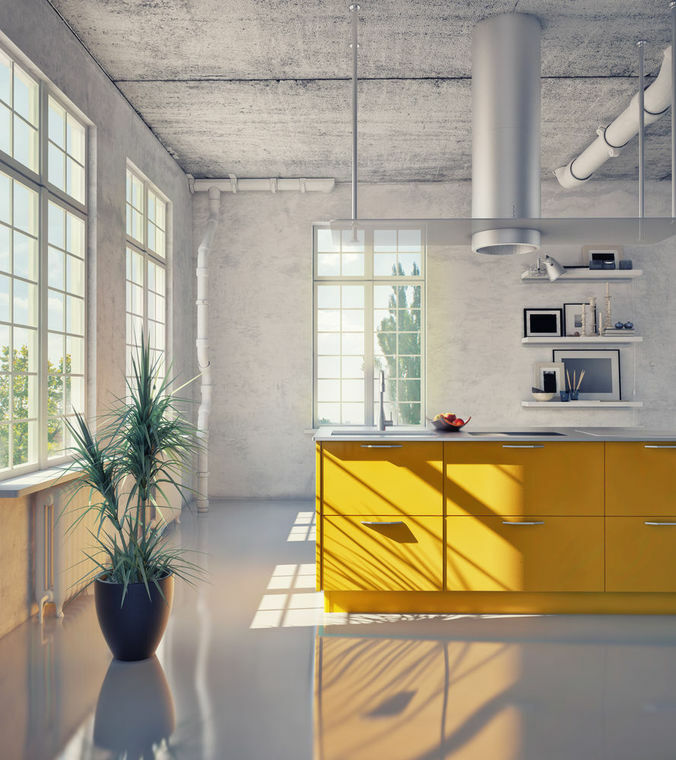 These 7 Kitchen Upgrades for less than $5,000 could make a large difference in the listing price for your home you are wanting to sell! Some of the 7 items you can do seem fairly simple but can make a world of difference in the appearance of your kitchen. These different upgrades do require work on your part, unless you want to spend more for someone else to do the jobs, but the payoff would certainly be worth it! If you would like to read the article yourself, click here. Happy Friday Everyone! Wow, it's March already!! Time flies! The winner for this weeks Friday Funny is the little plaque. 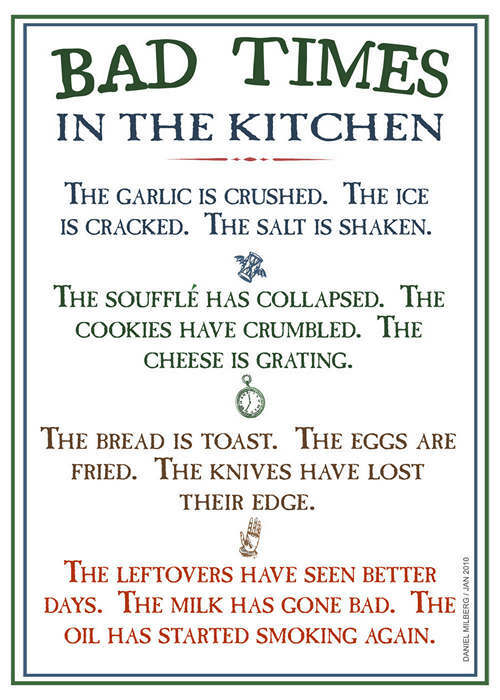 I'm thinking I should cross-stitch this wonderful thing and hang it in the kitchen! 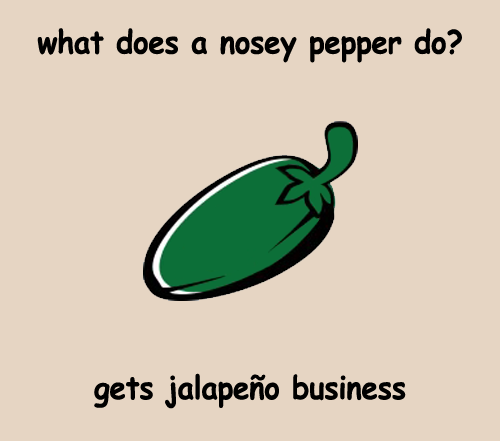 I like a pun as much as the next person, and this funny is loaded with them. Hope you enjoyed the funny for this Friday. Let me know your thoughts! Have a great weekend and be safe! If you have ever experienced a kitchen fire, it is certainly a scary thing! This video has some great tips for kitchen fire safety. I remember waking up to my smoke alarm going off, and my 16 year old coming into my bedroom. He said.. the house is full of smoke! What happened was he was trying to cook french fries on the stove in oil. When he finally put a frozen fry in, the house filled with smoke. I asked him how hot he had gotten the oil. His response was, well, I waited for it to boil before I put in the fry. Seriously. Now he is a great cook, but I don't know if he makes french fries on the stove top or not? Please remember to be careful. Great tips in this video, especially about keeping the lids handy in case a pan fire breaks out. Hopefully my oldest won't be reading my blog. Having been subjected to several small kitchens in my years, storage space is almost considered the holy grail of my kitchens. This article has some great photos of other's pantries. When I think of a pantry, I think of food storage, extra supplies, and perhaps kitchen appliances. The article gives a interesting history of the word "Pantry". Let me know your thoughts. I have actually even used a spare closet next to a kitchen to serve as a pantry in one of my homes. If you are interested in reading the article yourself you can find it by clicking the link here.